It came from the Game of Thrones set,” says 32-year-old Eniko Kirkwood, of her dining room table. No, not your usual spot to source furniture, but Eniko’s not your regular decorator. 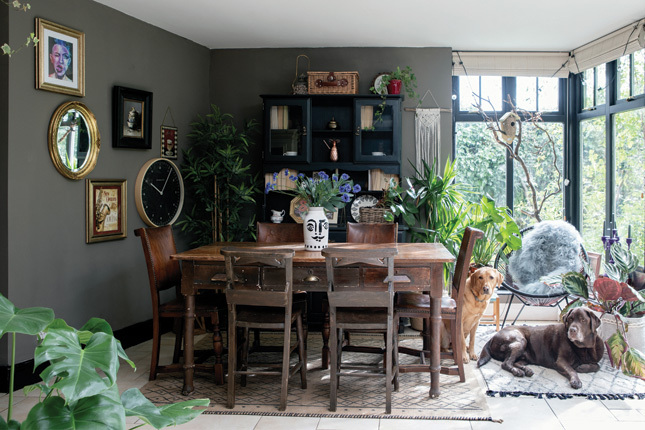 Her 1890s Northern Irish home, in which she lives with husband Michael and Labradors Penny and Alfie, isn’t average either. “We bought our house four years ago ­– it was built by the Andrews family, known for designing Titanic,” she reveals.  That’s quite the double-whammy, and a home like that deserves some special treatment. 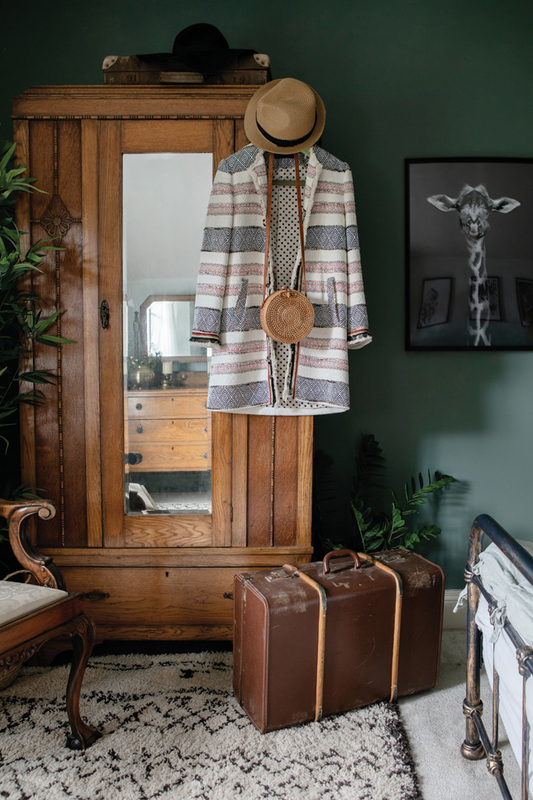 “When we moved in all the walls were white and magnolia, and there were light brown and dark green carpets everywhere,” Eniko says of the couple’s home, originally a farmer’s cottage. KITCHEN A recent makeover has transformed this space. 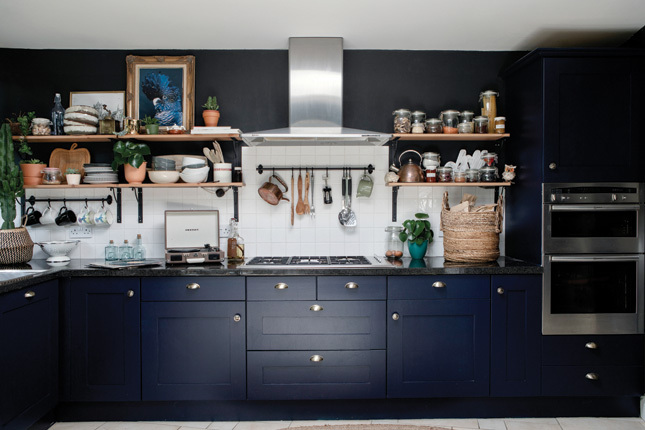 With the help of her mother and step-dad, she painted the original cabinets using Little Greene’s Dock Blue, removed the wall cupboards and added shelves from Ikea instead. 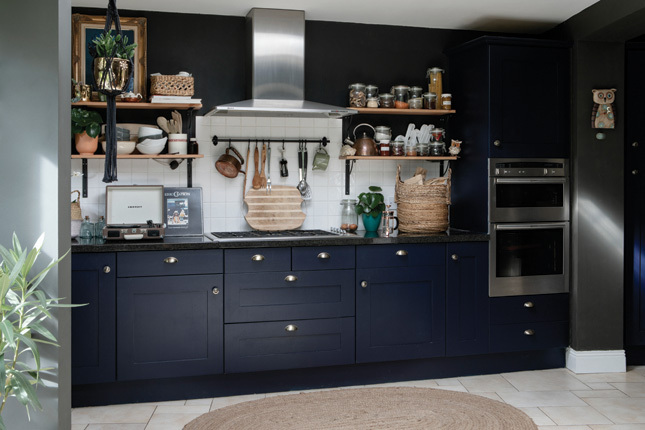 “I love the busy kitchen look and I like displaying our plates and cups, which I usually source from local shops.” Walls here were given a lick of Abigail Ahern’s Madison Grey, and the mat on the floor is from Laura Ashley. 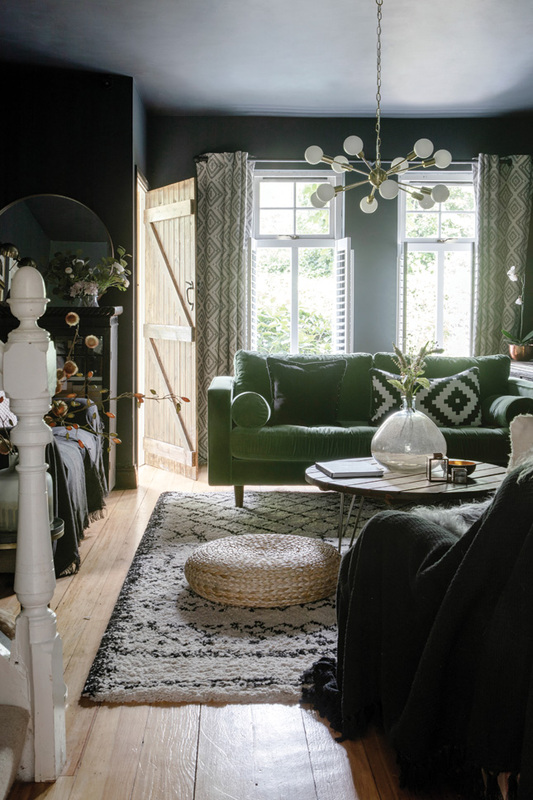 Extended by its previous owners, the house has three bedrooms and a matching complement of reception rooms, so Eniko – originally from Hungary, but living in Northern Ireland from the age of 19 – had a challenge on her hands. 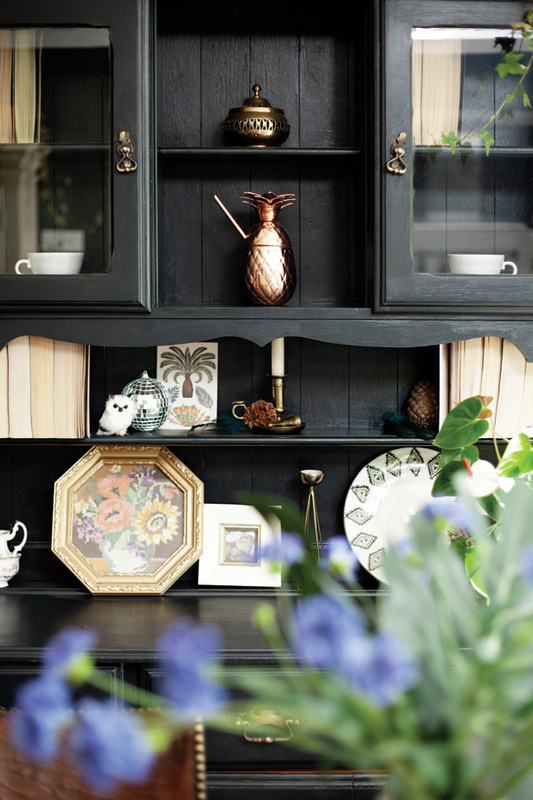 “Initially I was trying to go with the ‘cottage look’,” she says, but an intro to Abigail Ahern-style dark décor via a magazine proved to be an epiphany. “I fell in love with dark walls,” she says. 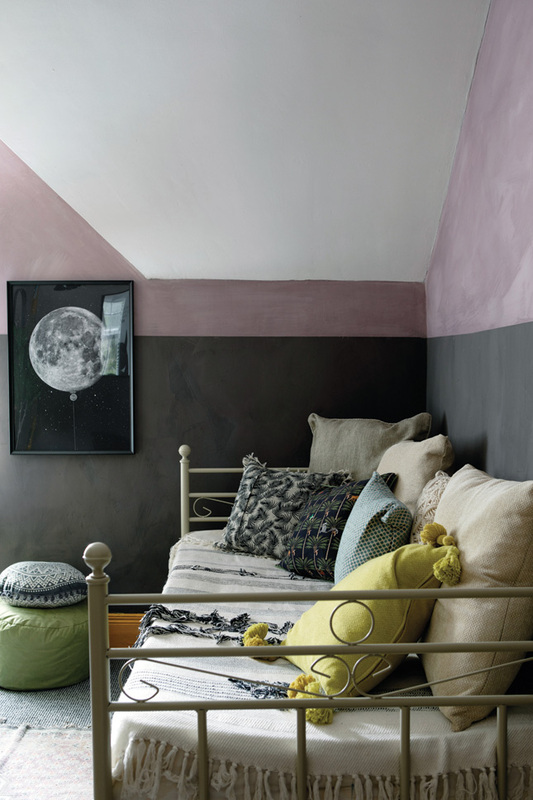 BEDROOM The ombré effect wall immediately draws the eye; it’s something Eniko saw online and recreated. 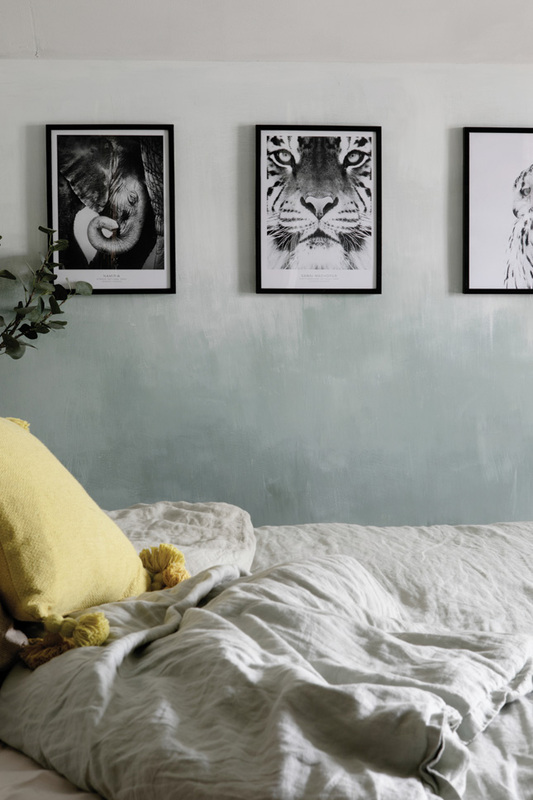 “I used three different shades of green, gradually getting lighter and added white paint on top, using a wide paintbrush to blend the colours,” she says. The bed is from Amazon, and she likes to source linen sheets from Soak and Sleep. Prints in this room came from Desenio while the starburst mirror was a H&M Home buy. 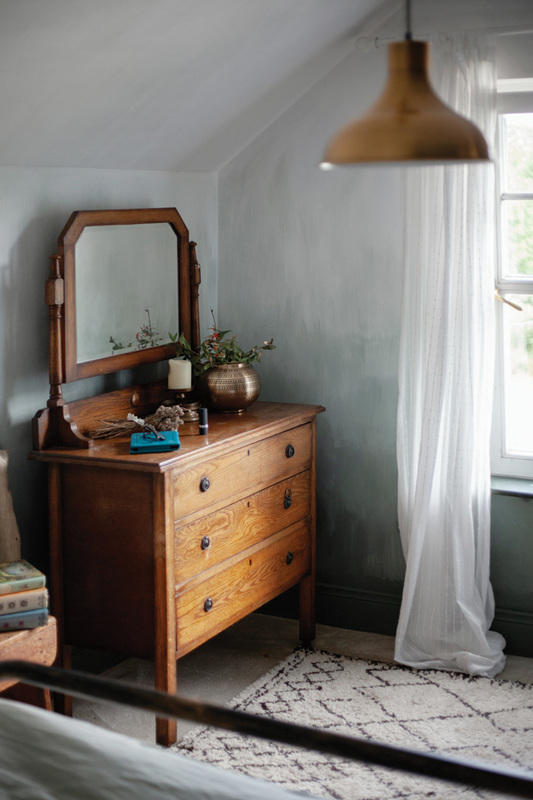 Her bedside locker came from Wayfair, and the stool, dresser and wardrobe were Gumtree finds. The light comes from Cult Furniture. BATHROOM Recently refurbished, Eniko wanted to achieve a traditional, romantic Victorian look. 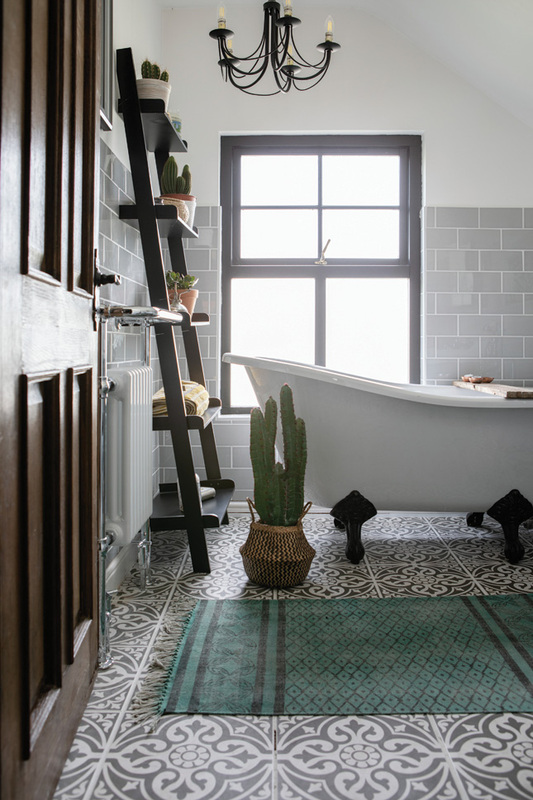 The bath, sink and radiator are from Victorian Plumbing, floor tiles are from British Ceramic Tiles and the wall tiles are from eBay. For towels, she looks to Laura Ashley and House of Fraser. 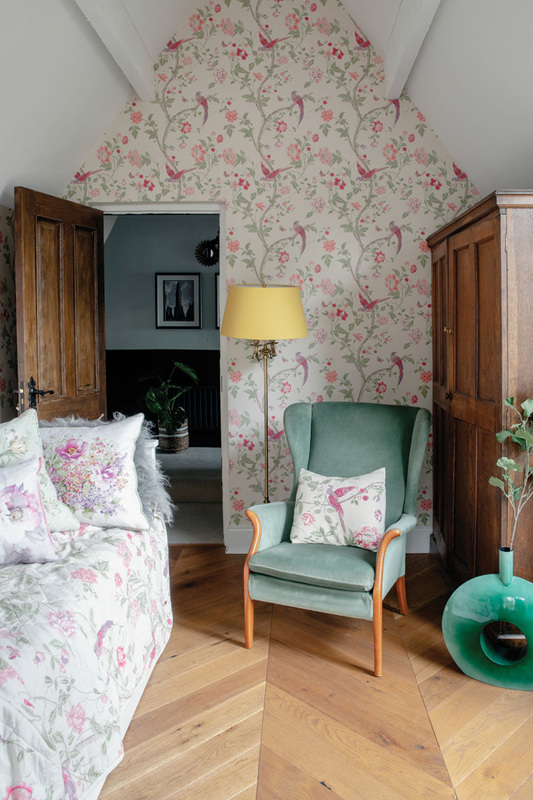 FLORAL BEDROOM This guest bedroom opens onto the balcony and has a very different vibe to the rest of the house, with Laura Ashley wallpaper, an engineered wood floor from Woodfloor Warehouse, and antique wardrobes. The floor lamp was a gift from family. 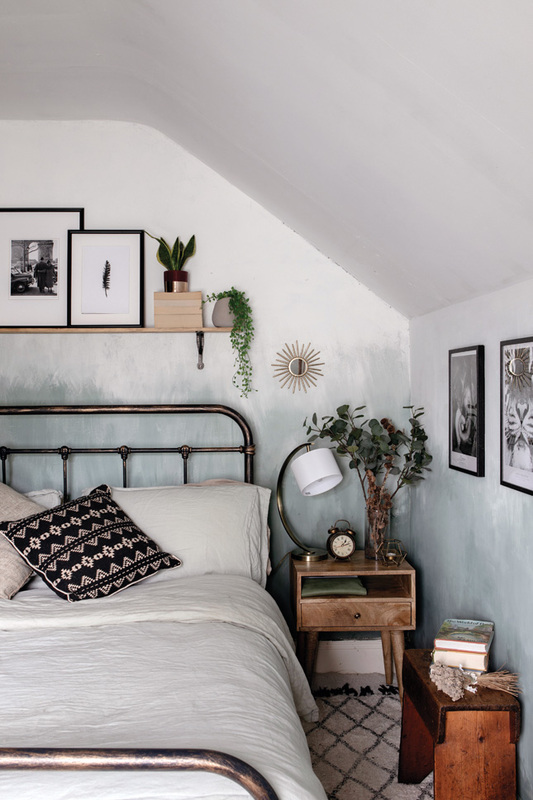 GUEST BEDROOM This unexpected colour choice really works, thanks to the rustic nature of the limewash paint in Lilac and Anise from Bauwerk. 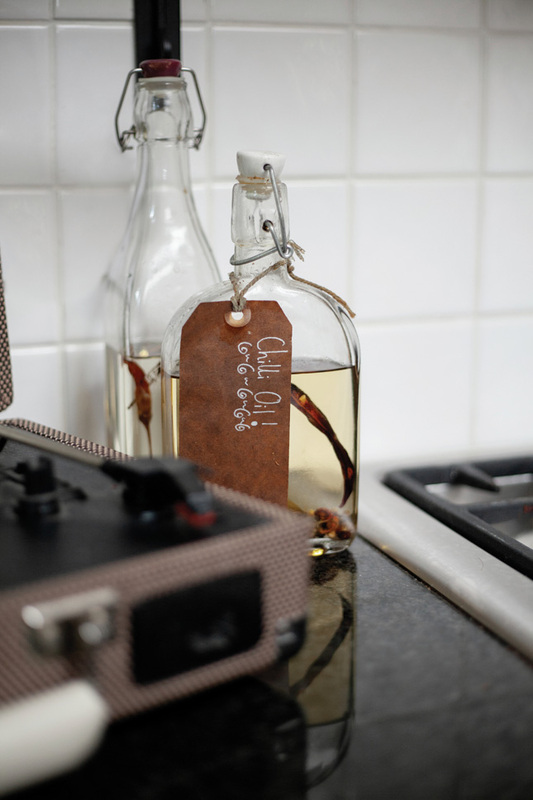 “I decided to add a touch of yellow just to make the room a bit more fun and different. I love the way it turned out,” Eniko says. The mirror is from eBay, and the ceiling light is from Made.com. 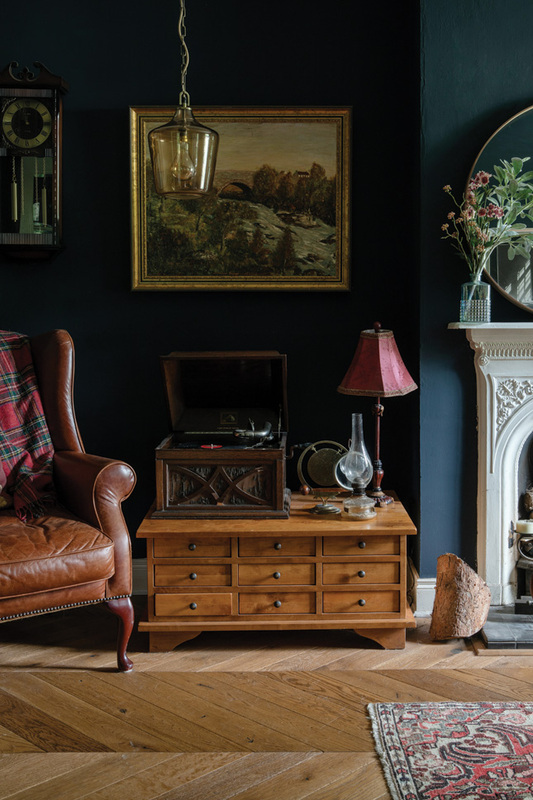 Gone are the magnolia walls and beige carpets and in have come reclaimed wood flooring, moody paint hues and an intriguing selection of furniture and décor accessories. 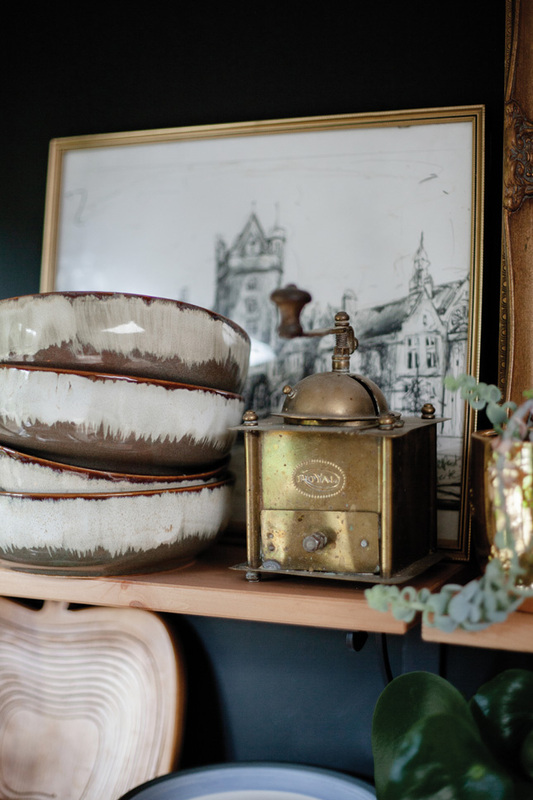 Salvage yards, eBay and Gumtree are Eniko’s go-tos. 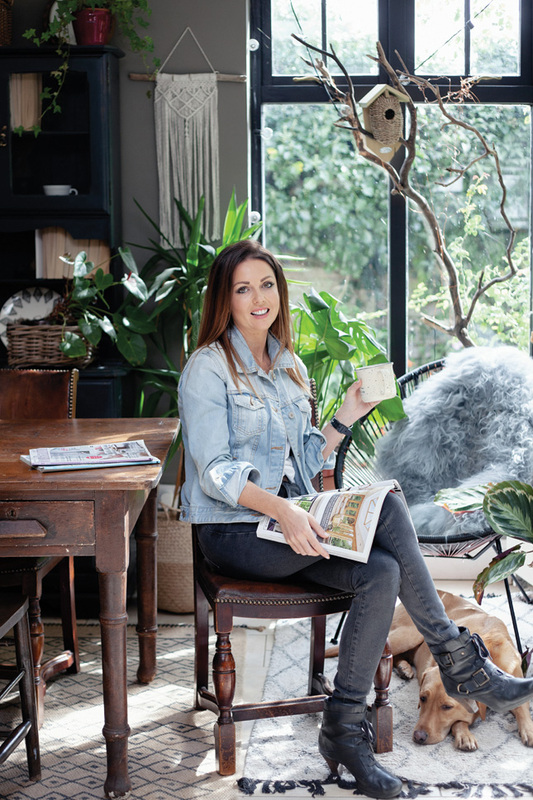 “I absolutely love interior design and I’m constantly flicking through magazines and Instagram for inspiration. 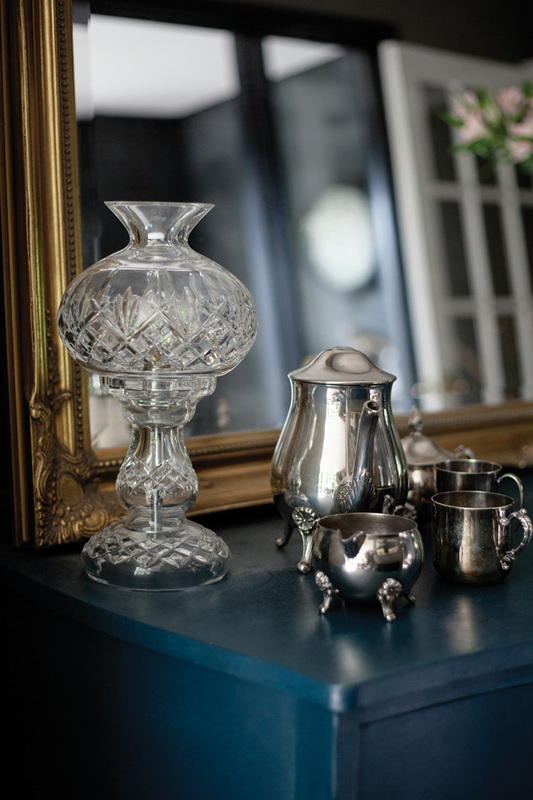 I always have a project on the go and thinking of new ways to enhance the look of our home,” she enthuses. 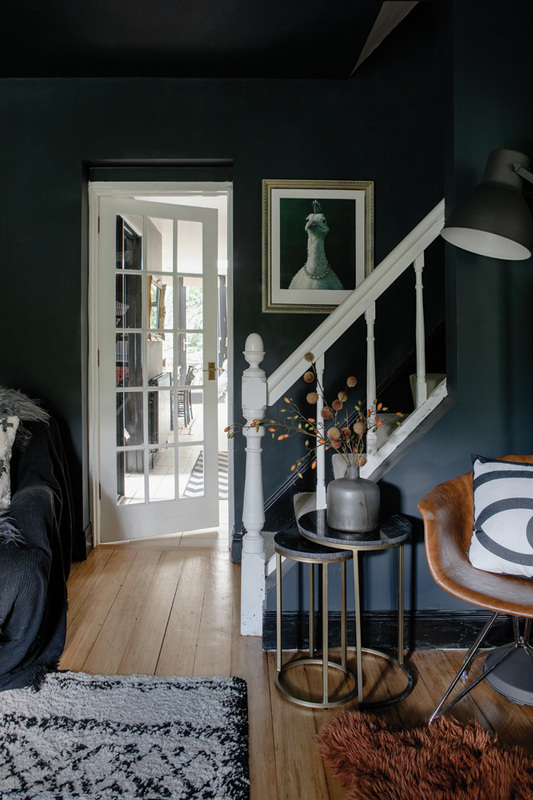 LIVING ROOM The cult Afaw rug from La Redoute takes pride of place in this cosy room, painted in Farrow and Ball’s Railings. The small nest of tables and the leather chair are from Cult Furniture, and were a gift. Eniko got her green velvet couch from Made.com and says of it, “it’s a game changer.” She likes to buy cushions from Home of Boho, available at Etsy. The statement ceiling pendant is from Marks and Spencer while the coffee table was custom-made by an eBay seller. The rattan pouffe is from Ikea, the tripod floor lamp is from Wayfair and the glass-fronted cabinet behind it is Georgian and was a salvage yard-buy gifted to Eniko from her husband. 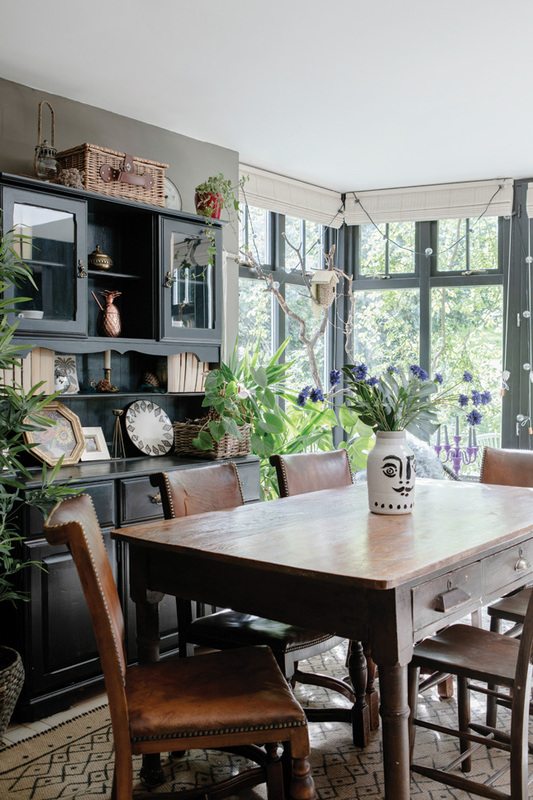 The artwork in this room is from their travels in Asia and Art.co.uk. 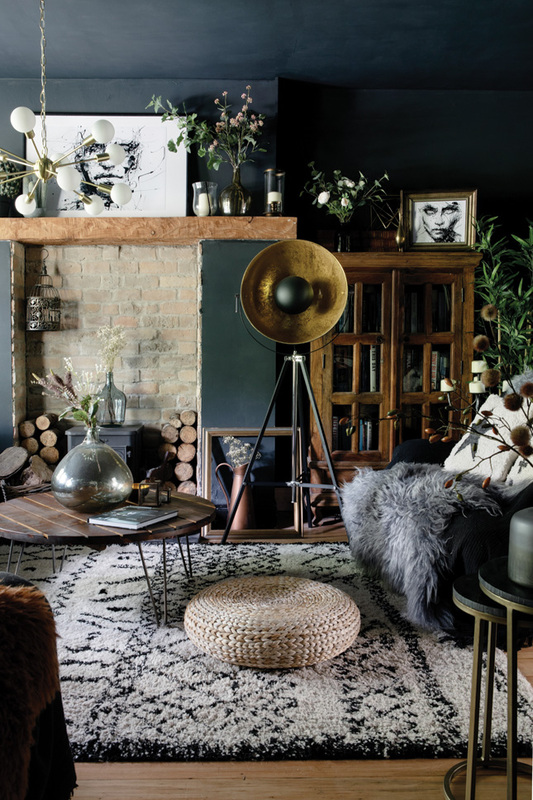 SNUG Eniko’s journey into dark decor began in this ‘snug’ space, complete with original Victorian fireplace. 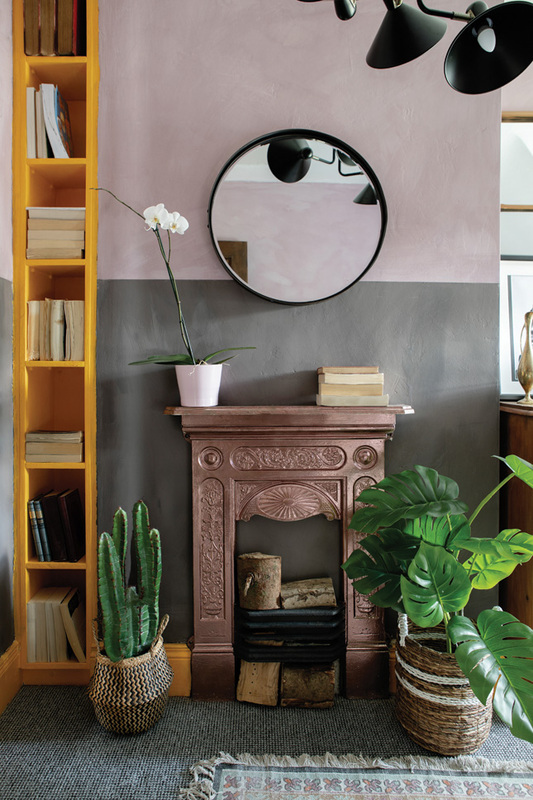 Find a similar over-mantel mirror at Ikea.